The 21st Anniversary and first Mega Show ! It's range of exhibits and multitude of attractions brought 180,000 visitors for five glorious days to the rolling hills of North Dorset. The FunFair - in particular on Saturday night - was briiliant. This amazing, unbelievable spectacle of light, sound, steam, smells and over 30,000 people enjoying themselves until the early hours of Sunday was to become the highlight of the show. 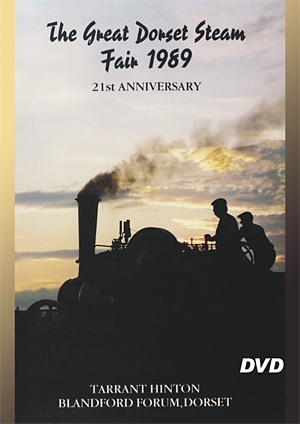 Arthur Knapper and Dr Romanies staged a re-run of their famous 1950 steam engine race at Appleford in Oxfordforshire - where a bet of a firkin of ale set Steam Preservation in motion.